A wee bit of levity in the form of comics is good for the soul on Friday, the last day of the work week... just a few more hours to go until two days of freedom. 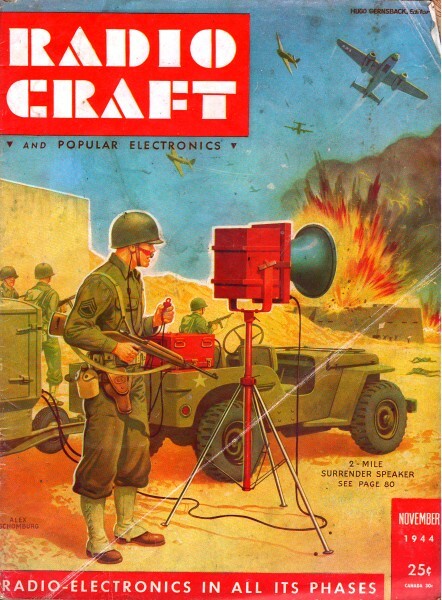 Good humor, it is said, contains a degree of truth in it, and this group from vintage editions of Radio-Craft magazine is no exception. 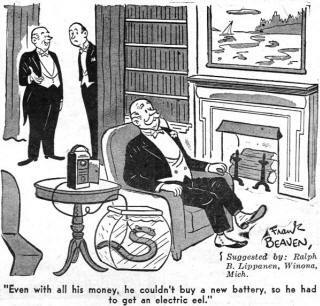 One of the comics in particular struck a chord with me - the one with the table model radio where the serviceman is speaking on the phone with his customer. The first familiar feature is the shape of the radio and the removed rear cover; it reminds me of my Tesslor R-601S. The second thing is the dead bugs. Just like a stray cat will climb into your car's engine compartment on a bitter cold day in search of heat, so will bugs be drawn to a heat source such as that provided by an electronic appliance filled with warm, glowing vacuum tubes - they might have liked the brightness as well. 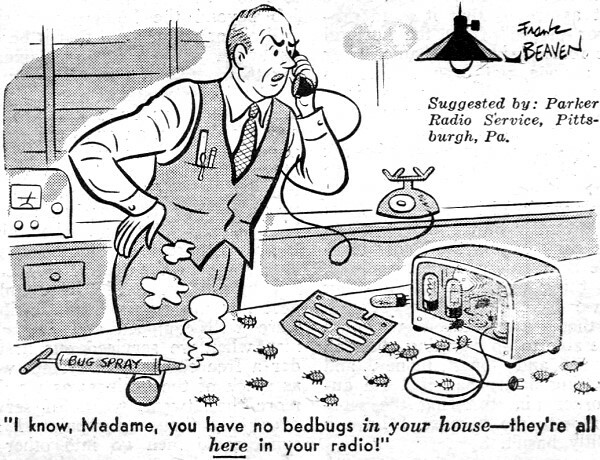 I remember well removing the backs of radios and TVs to find carcasses of bug colonies scattered around the electronics chassis. A couple years ago I bought a Snoopy and Woodstock telephone from the 1960s to restore. Although it was not a heat generator, the components were covered with tiny spots of bug excreta both on the outside and on the inside. 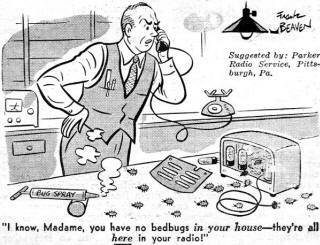 "I know, Madame, you have no bedbugs in your house - they're all here in your radio!" 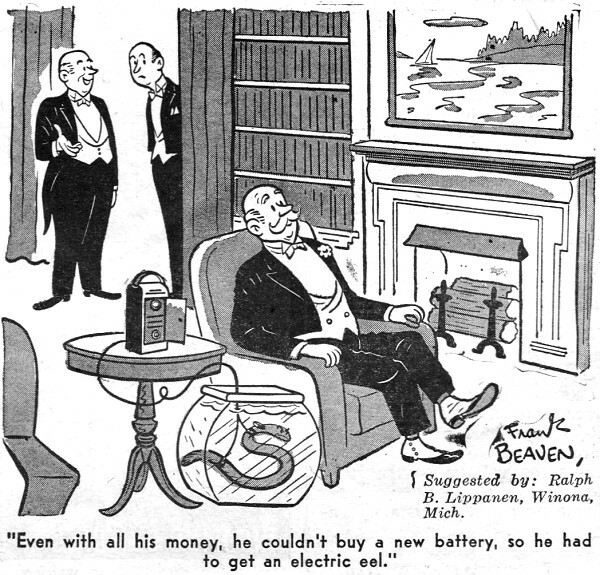 "Even with all his money, he couldn't buy a new battery, so he had to get an electric eel." Note: During WWII, it was sometimes impossible to buy common items because resources were directed to the war supply line. 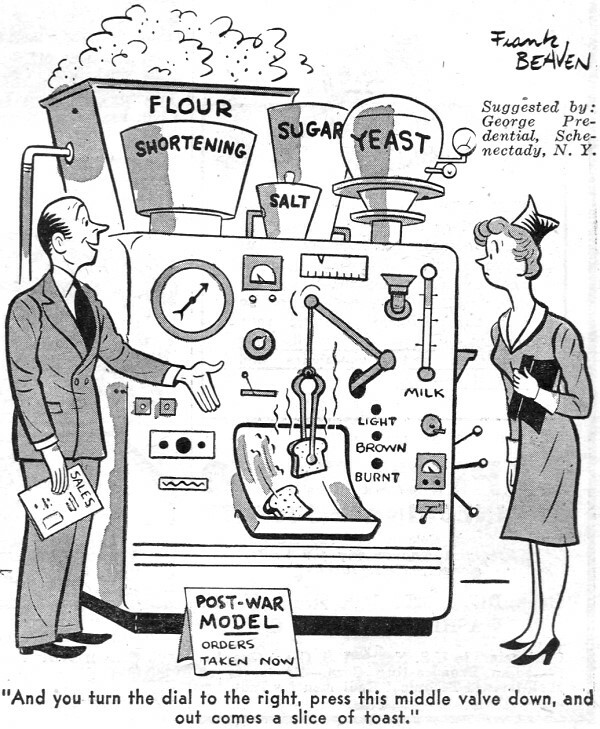 "And you turn the dial to the right, press this middle valve down, and out come a slice of toast." 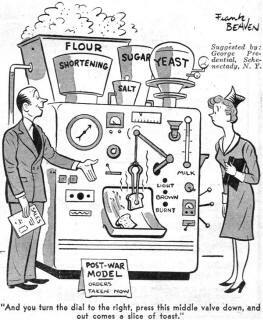 Note: This was perceived as 'the way of the future' back then. Automat establishments came about as close as we will see to that reality for a long time - if ever.